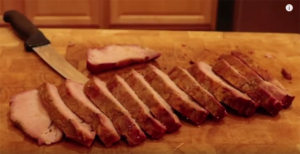 Sous vide bbq pork loin. 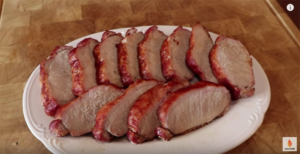 This is an easy Sous Vide BBQ recipe that incorporates Adobo seasoning. It also is only 6 hours total including prep and cooking time. 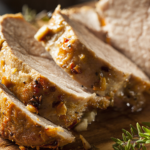 There is an up to 12 hours dry brining that is optional but will make your pork loin even more favorable and tender. 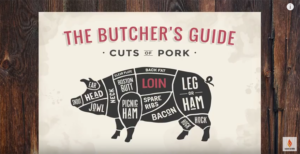 The pork loin is the area between the shoulder and the back legs of the pig. This meat is very lean and is also the most tender part of the hog. This pork loin was just under six pounds. 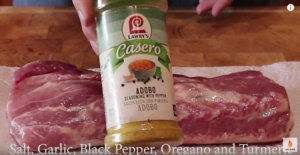 We will be using an adobo seasoning and besides the fact that it adds a lot of flavor it will also help tenderize the meat by acting as a dry brine. The one I'm using today is from Lowry's and this one also includes pepper. They also have a version without pepper if the pepper is an issue. Get a container. I like using a glass 15-inch by 10-inch rectangular baking dish. 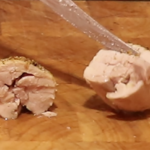 Put the seasoned loin into the dish. When seasoning make sure you cover every inch of the pork loin. The salt in the adobo seasoning will play a second role besides taste by acting as a dry brine. Adobo or Adobar in Spanish means marinade, sauce or seasoning. Adobo was employed initially as a method for food preservation but now its primary purpose is just to add a lot of great flavor to your meat. 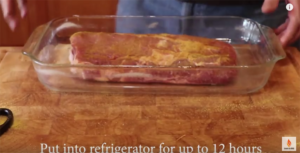 Now put the dish into the refrigerator for up to 12 hours so the loin can get the benefit of the Dry Brine. 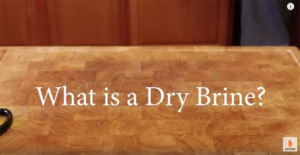 So what is a Dry Brine? This is when the salt draws out the juices in the meat through osmosis. Next, the salt dissolves into these juices essentially turning into a wet brine even though there isn't any embedded liquid. 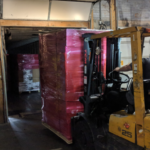 And finally, this brine is reabsorbed into the meat and starts breaking down tough muscle proteins resulting in a juicy, tender, seasoned meat. 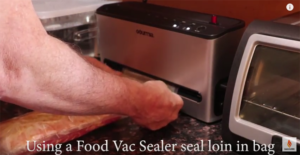 Now is the time to put the loin into a vacuum sealed bag using your vacuum sealer. Remove all the air from the bag and seal. if you plan on doing a lot of sous-vide cooking I highly recommend you buy one of these units. 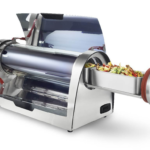 The model I bought was well under $100 and it is great for managing your food. I always double seal each end of the bag just to make sure we get no leaks. Now it is time for the bath preheat sous-vide bath to 137 degrees Fahrenheit put the pork loin into the bath and then cook pork loin for four hours. 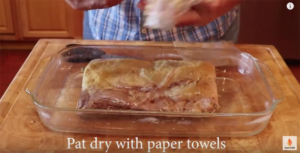 Remove loin from the cooking bag and pat dry the loin with paper towels. 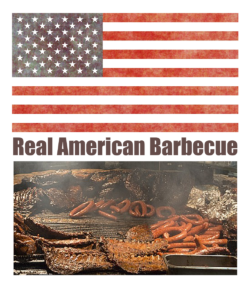 Preheat your smoker or barbecue grill to 275 degrees Fahrenheit if you're using a grill please set up for indirect cooking. 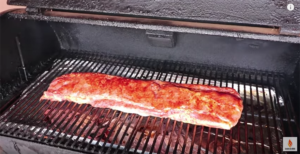 Smoke the pork loin for one and a half hours. The outcome of this type of cooking gives you the best of both worlds. The meat will be extremely tender and moist. 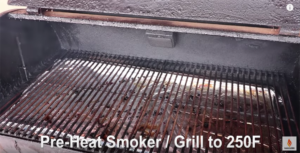 Also, the smoker will add just the right amount of bark, texture, and color. The loin is the area between the shoulder and back legs and is the leanest, most tender part of the animal. This part of the pig is very lean and does not require long cooking times. Actually, it is the one part that is subject to becoming dry if overcooked. This one is really easy. 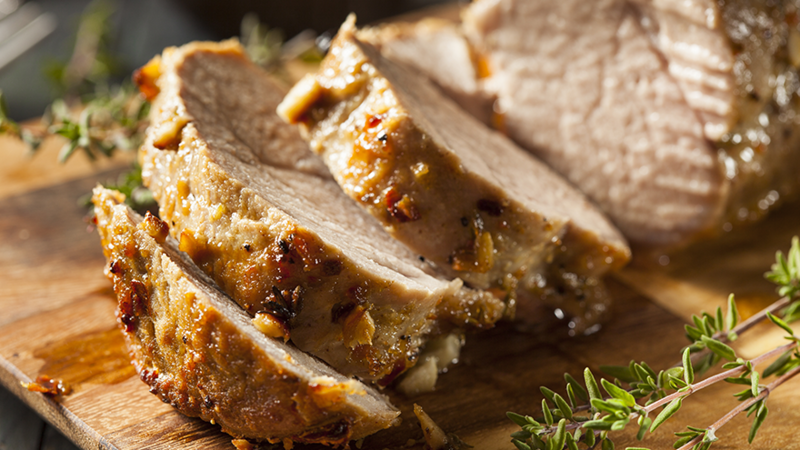 The pork loin is one of the leanest and can be the tenderest part of the pig. It also has a tendency to dry out if not cooked properly. 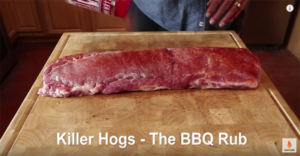 First, cover the pork loin with the Killer Hogs rub. Make sure that both sides are fully covered. 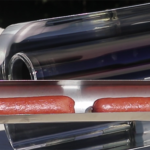 Preheat grill (in indirect cooling mode) or smoker to 250F. I like to use either hickory or oak wood when smoking. 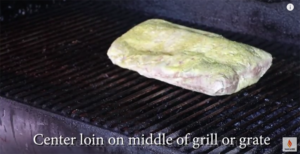 Put pork loin in the middle of the grill or grate and close the lid. Check internal meat temperature using a handheld instant-read thermometer every 30 to 60 minutes. When the pork loin reaches 145F (approximate 3 hours) then pull it. Let it rest for about 10 minutes and then slice and serve.